Body Positive held a festive BBQ for members and their partners (or a support person) on Boxing Day at Point Chevalier Beach. 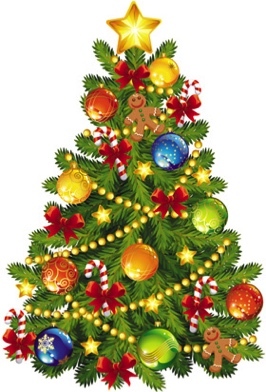 Body Positive would like to thank everyone who attended the Auckland Members Christmas party on Friday 12th December at Body Positive House. It was a fantastic turnout and even though the weather wasn’t great, everybody had a very merry time. 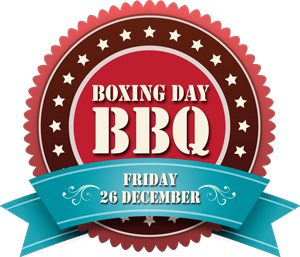 Body Positive would like to thank everyone who attended the Wellington Members Christmas party on Saturday 6th December at Shorland Park. It was a great day with fantastic weather. 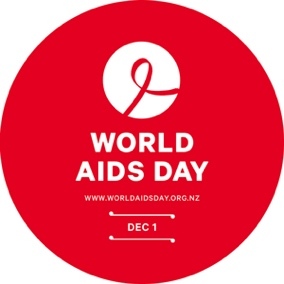 Body Positive and the Wellness Fund would like to thank all the volunteers who helped with the collections during World AIDS Day 2014. 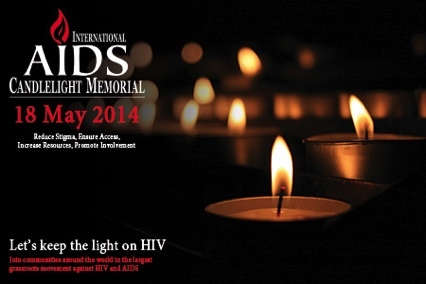 It is only with this help and support that the Wellness Fund is able to continue to assist those in need who are living with HIV/AIDS through the following year. People who quit will be supported with daily emails, texts, online blogging and a new dedicated smartphone App. Auckland District Health Board intend to hold five stopping smoking groups around the district, one every evening from Monday to Friday. 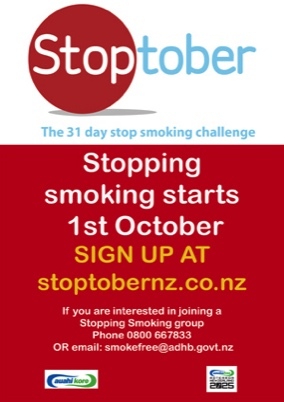 The groups are free, run by professional stopping smoking specialists, take one hour and last for seven weeks. 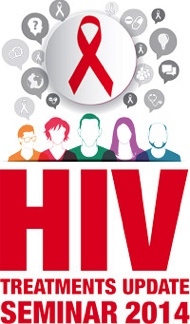 Body Positive hosted the fifth annual HIV Treatments Update Seminar on Friday 26th September at Auckland Hospital. 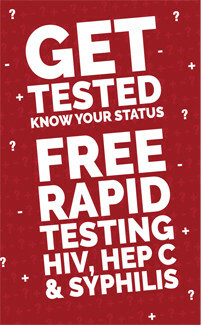 The seminar was open to Health Professionals, Community Workers and Positive People and was free of charge. This years seminar was our biggest ever, with over 130 people in attendance from all over New Zealand and included a very broad range of topics, both familiar and new. Gilead, Janssen, GSK, Abbvie and ViiV Healthcare. 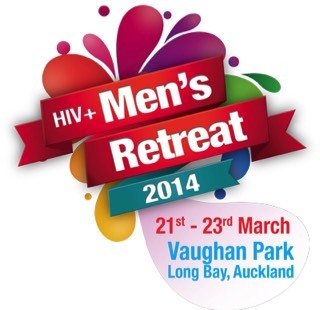 The 2014 HIV+ Men’s Retreat was held on Friday 21st to Sunday 23rd March, at Vaughan Park in Long Bay just north of Auckland. 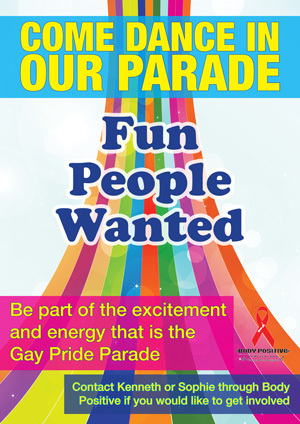 Body Positive would like to extend a big thank you to all the volunteers who helped with and participated in the Auckland Pride Parade on the Body Positive Float on Saturday 22nd February. It was a fantastic parade and everyone looked great. 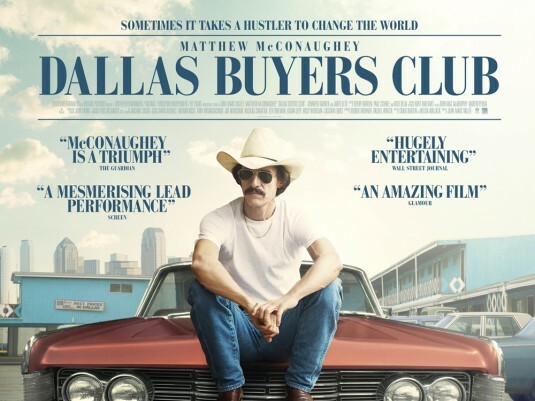 As part of the Auckland Pride Festival, the Academy Cinema has kindly offered to host a special pre-screening of the wonderful new movie, Dallas Buyers Club, with proceeds in support of Body Positive. $20 per person, purchase tickets online here, or they can be purchased in person from the ticket desk at the Academy Cinema prior to the event. Bruce Kilmister, CEO of Body Positive, will host a special introduction, presenting a New Zealand perspective on the screening and the experience of our own 'buyers club', and will be running a Q&A following the screening. Dallas Buyers Club tells the story of Ron Woodroof (Mathew McConaughey) a homophobic rodeo rider who in 1985 is diagnosed as H.I.V. - positive and given 30 days to live. A born hustler, Woodroof works around the system to bring unapproved treatments and medications, by any means possible. Working with a fellow AIDS patient, Rayon (Jared Leto), together they establish a "buyers club" where members pay monthly dues and gain access to the medications. Isolated by his friends ignorant reactions to diagnoses, Woodroof begins to challenge his own prejudices. The performances in Dallas Buyers Club swept the 2014 Golden Globes, with Mathew McConaughey winning Best Actor and Jared Leto's winning Best Supporting Actor! 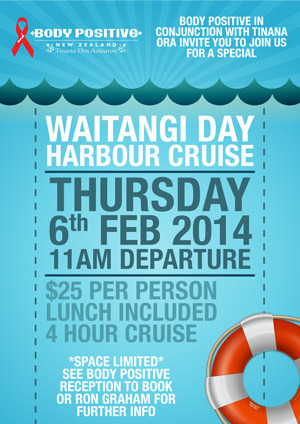 Back by popular demand, Body Positive in conjunction with Tinana Ora hosted its second annual private cruise around auckland harbour on Waitangi Day with lunch included. The cruise was a great success with over 30 members & friends on the boat, with everyone having a wonderful day out on the water.